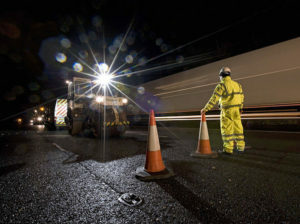 The Government is running a consultation on allowing local authorities to charge utility companies by the hour during road works in a move to cut congestion. Trials in London and Kent have seen severe congestion from utility works fall by more than half. Already in use in London – where it’s reported to have led to substantial savings in delay to road users since its introduction in June 2012 – and Kent, the ‘lane rental’ scheme could be in place nationwide by 2019 and would encourage utility companies to avoid busy roads and peak times, and incentivise them to join together when they do need to dig up congested routes. According to the DfT, the 2.5 million roadworks currently carried out each year cost the economy £4bn due to delays to commuters or deliveries.